Ray Bradbury personally owned Raymond Bayless painting, titled, ''War of the Worlds, H.G. 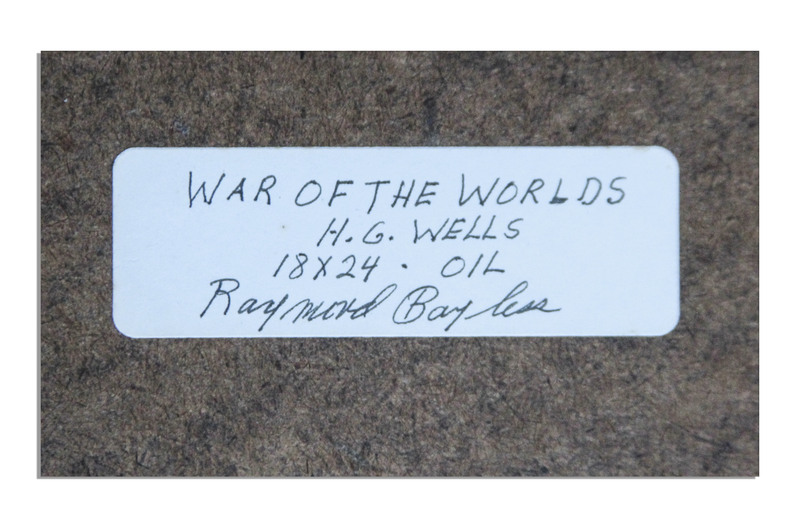 Wells''. 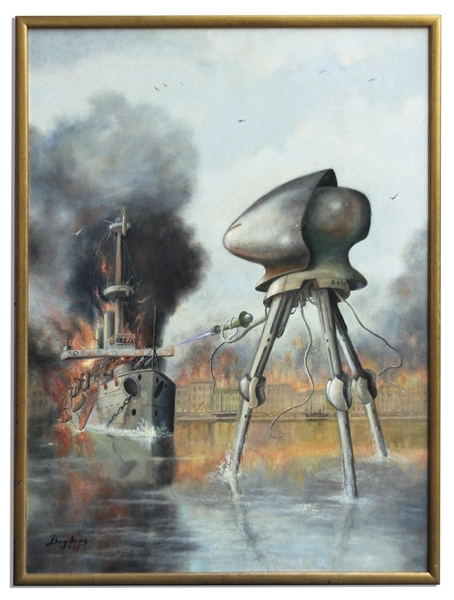 Art depicts the famous naval battle from the story between a martian ''Tripod'' weapon and English ironclad, the HMS Thunder Child. Cityscape along the horizon is on fire, and the ship also goes up in flames with a cloud of black smoke, the martian chemical weapon, rising from it. Painting features a color palette of predominantly light blues and greys, accented in orange, black and white. 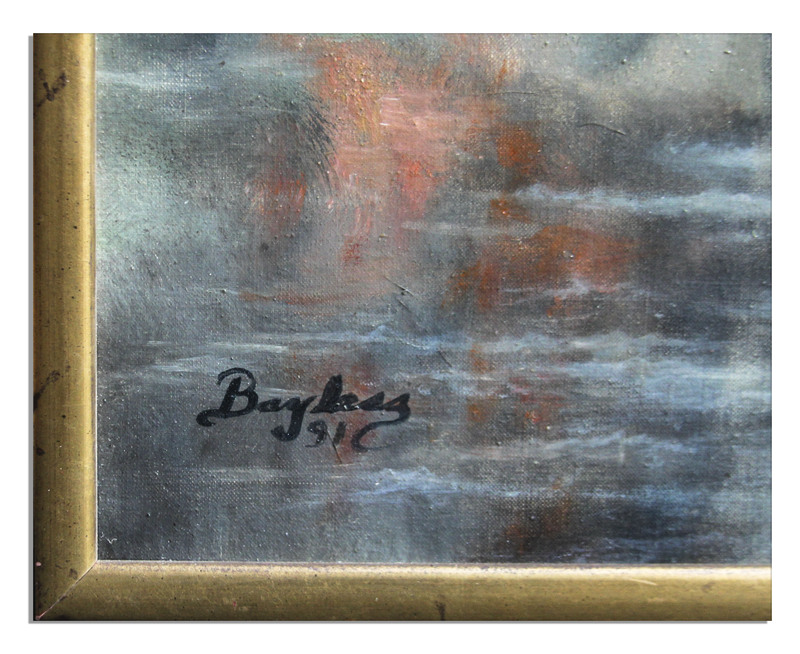 Signed, ''Raymond Bayless 91,'' at lower left. A sticker on verso is also signed by the artist. Oil on Masonite painting is framed to an overall size of 18.75'' x 24.75''. Near fine. 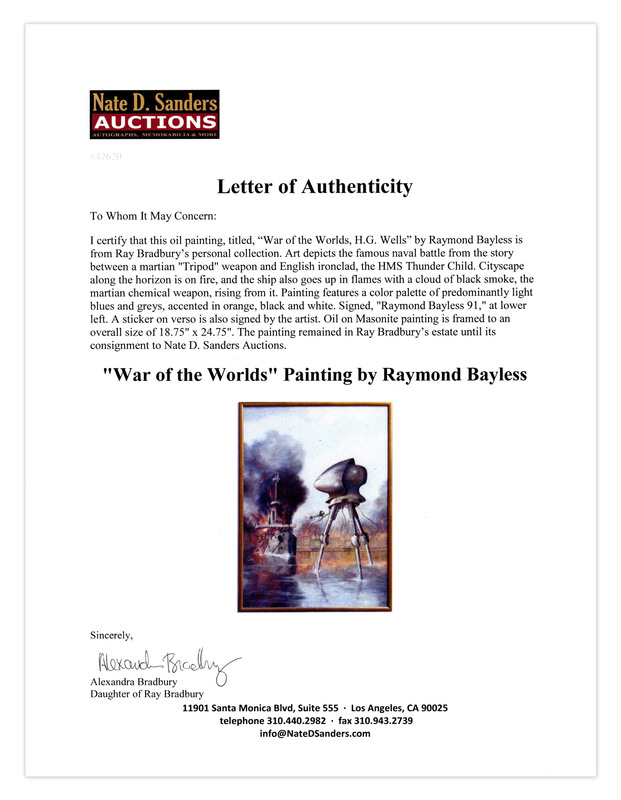 With a COA from the Ray Bradbury estate.